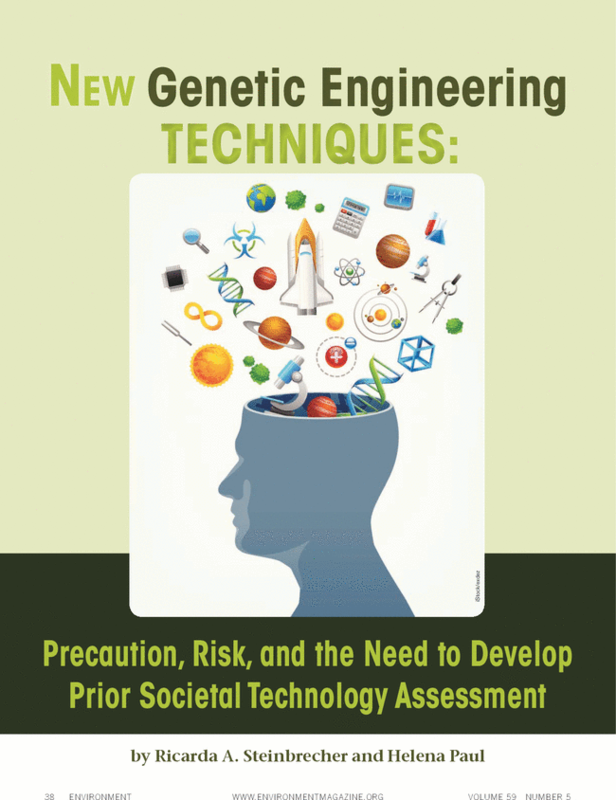 Business has been arguing that governments should override the precautionary principle in favor of an “innovation principle.” The new genetic engineering techniques (sometimes called “new breeding techniques”) provide the perfect cover for this argument. Proponents assure us that these new techniques are essential to address the crises we face and will provide economic benefit, as long as we set aside the precautionary approach that they claim increasingly hampers technological progress. We are in the midst of powerful high-risk technological developments with potentially severe and irreversible health, environmental, and societal implications. It is vital to develop processes for examining new technologies while they are still being developed. We argue that precaution needs to guide technology development in this area. Indeed, it should precede the technology development. An adequate technology assessment and decision-making process requires concerted effort, courage, and restraint, and it must include the option to decide against developing or deploying some technologies altogether.